Our format is simple, for all Nerf Blaster Parties whether Mobile, at your venue or home or at our current venue, participants must be at least 6 years old with a signed disclaimer by a parent or guardian. For NERF RIVAL Blasters has a minimum age limit of 10 years and Full Face Masks MUST be worn in game play. Take a set of goggles (which must be worn at all times), listen to our rules & regulations briefing by our moderator and away you go. All of our goggles have neoprene bands to help keep them on your children’s faces. For NERF RIVAL Blasters, we have slightly different games rules to traditional Nerf blasters and we cannot mix the versions together for safety reasons. All our game play is moderated at all times for the safety of all children & adults with the golden rule being ‘fair play’. 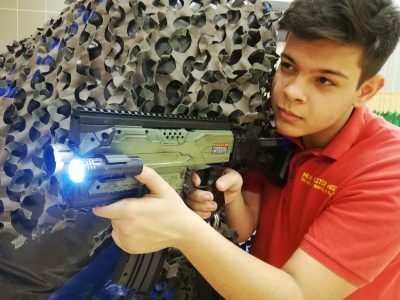 Our game format is open to the customer completely as it is a freestyle play venue which you can hire for your own NERF blaster party and play with or against your friends & family. 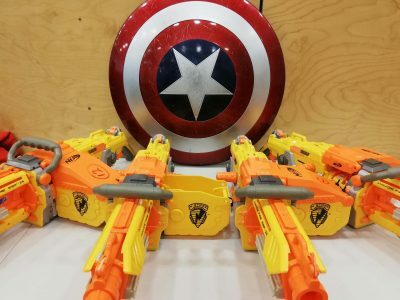 You can have fun with the best Blasters in the world and with NERF Lasers now available why go anywhere else in the UK as we have it all and in copious amounts for everyone. 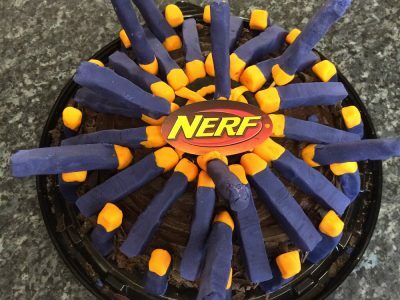 We cater for children’s Nerf blaster parties, corporate events, schools, groups and clubs.